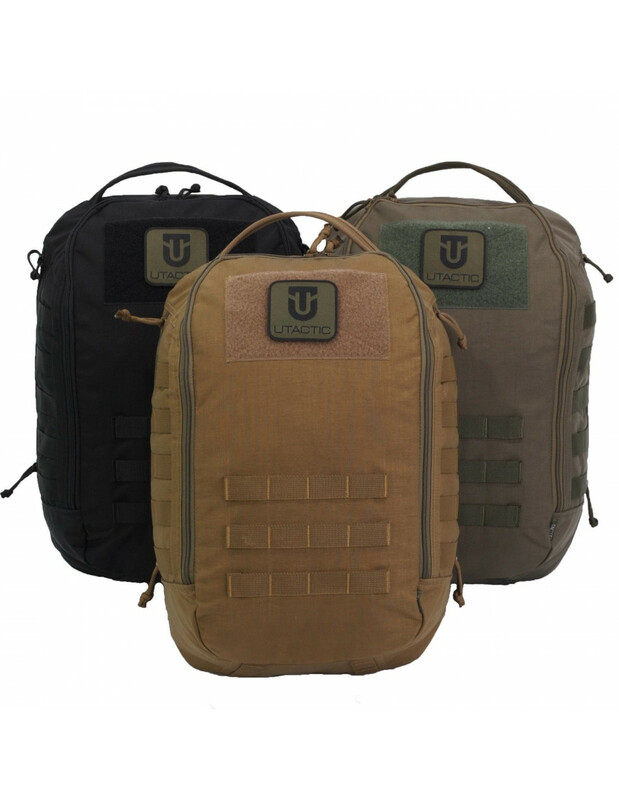 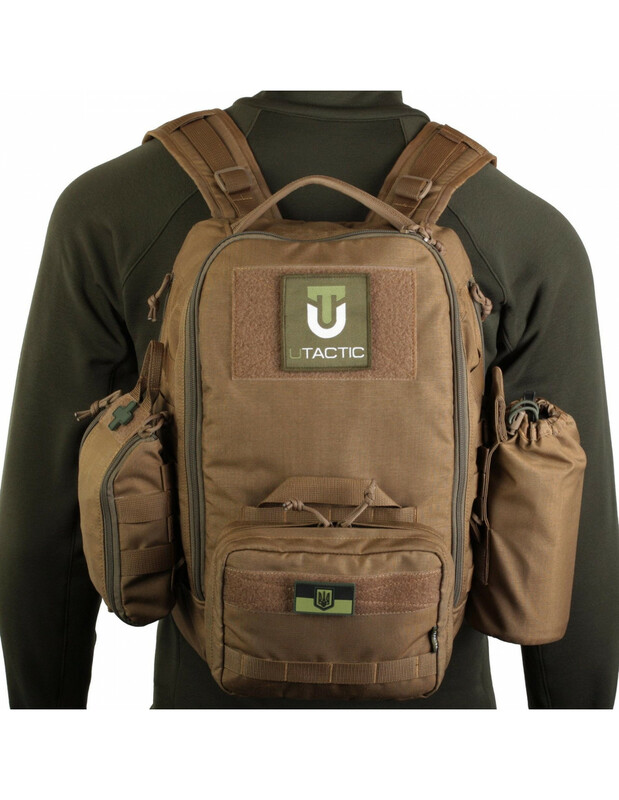 Backpack UTactic First Day Pack – it’s a day pack with 18 liters of overall capacity, can be putted on as a sling backpack using one shoulder strap or as a classic backpack with two shoulder straps. 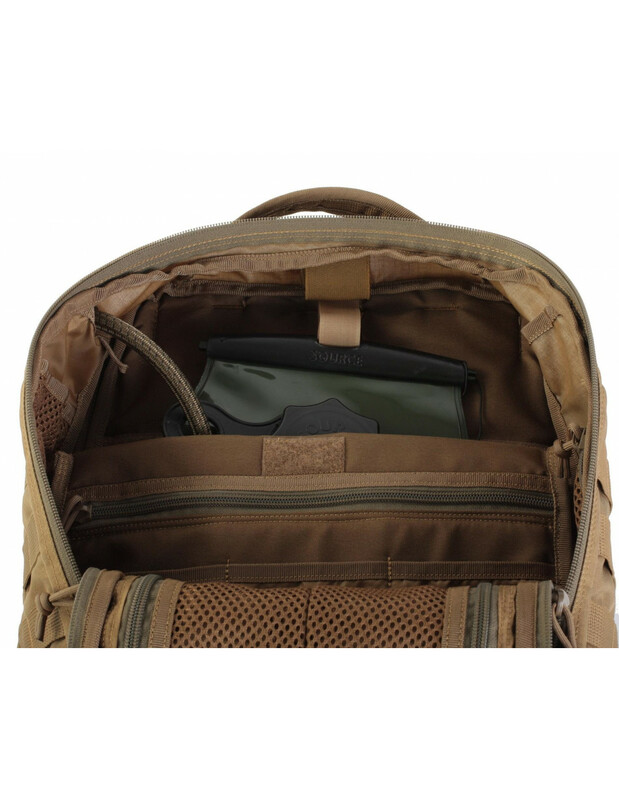 If you want to wear your backpack in the ‘sling’ mode, you need to draw tight one of the side straps located on central fastening, the other side strap can be unfastened. 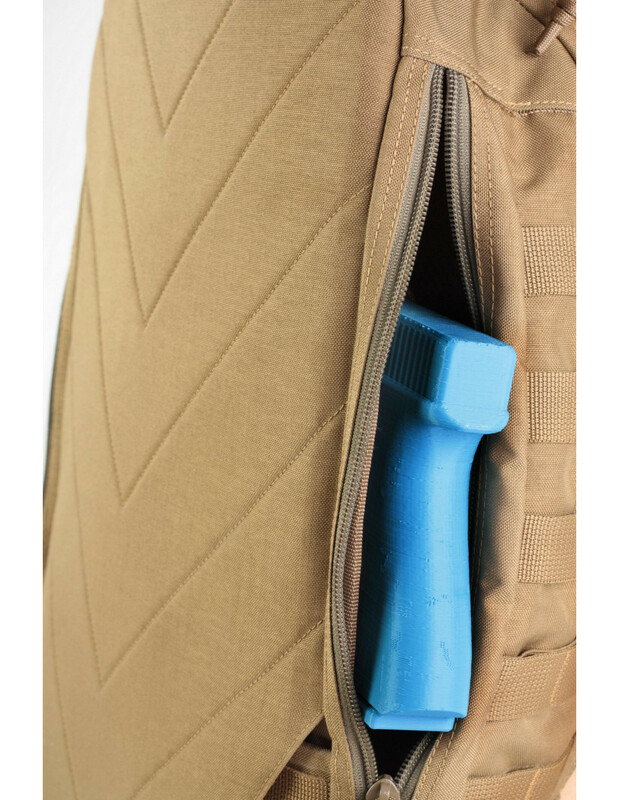 While using two straps carrying mode, central fastening hides in the pocket of backpack. 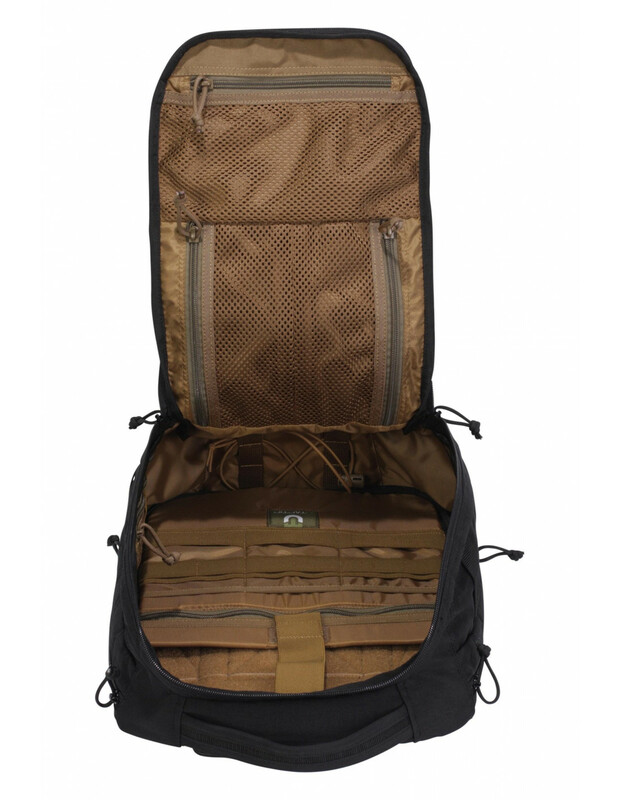 A backpack has one compartment with a wide opening angle. 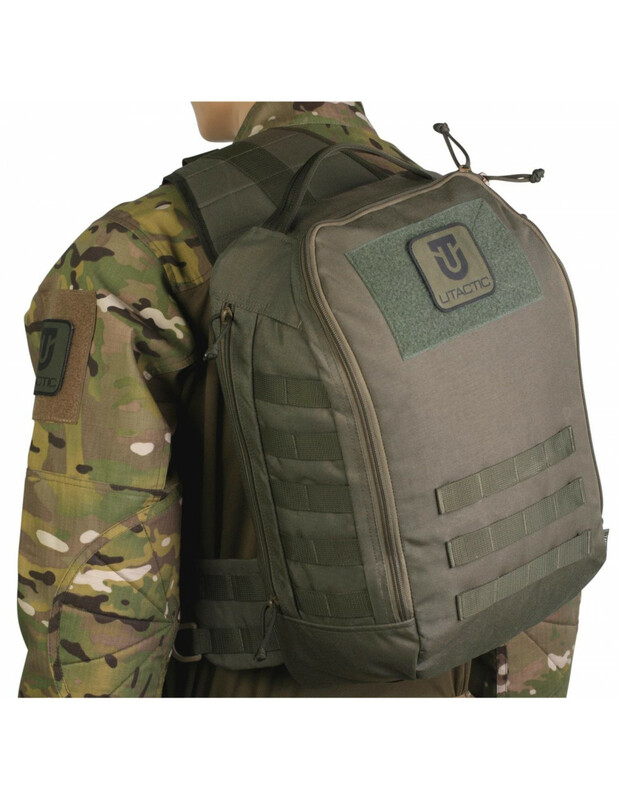 On the front side is a large Velcro panel for attaching patches and identifiers. 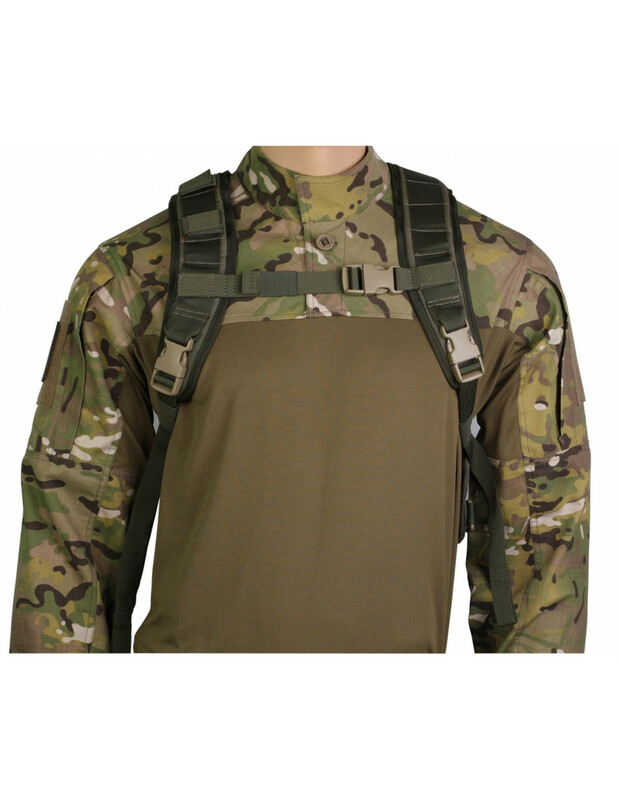 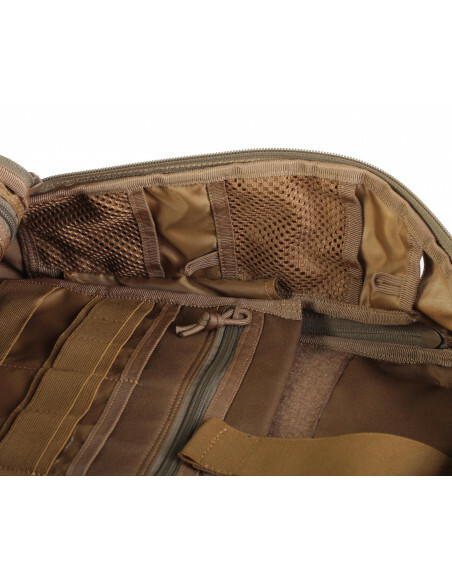 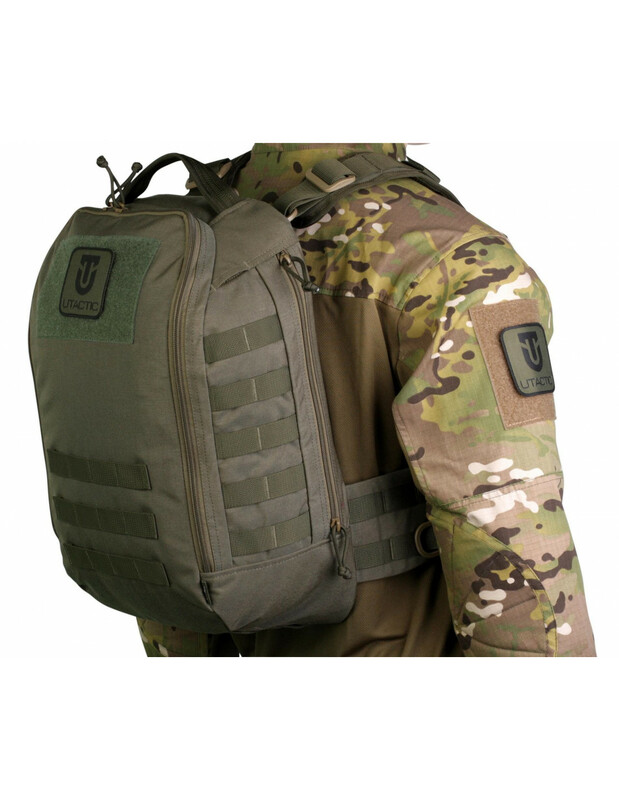 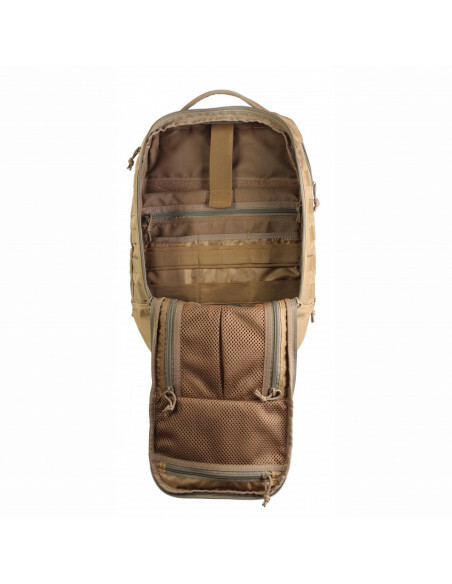 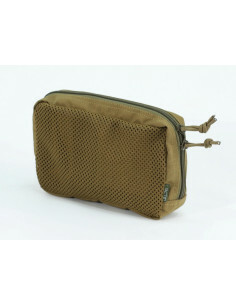 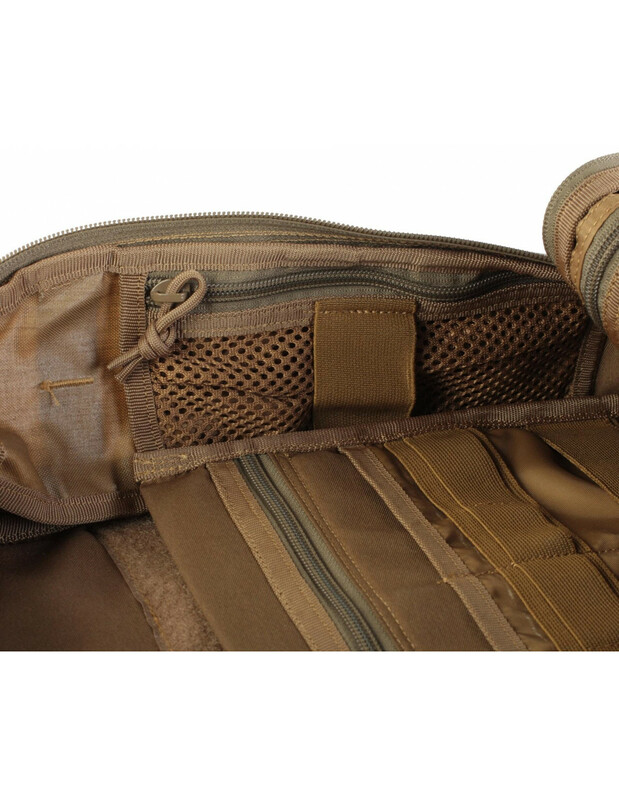 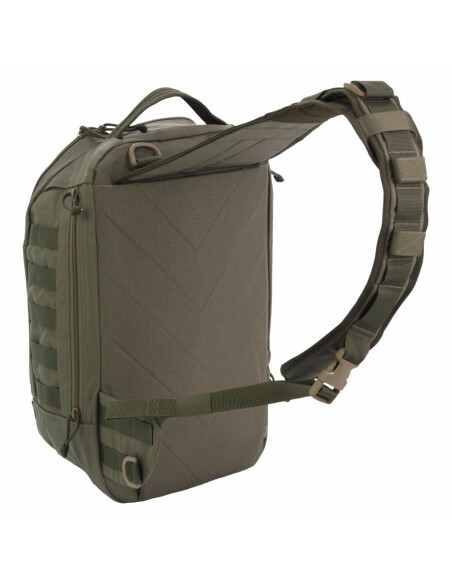 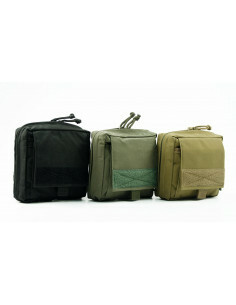 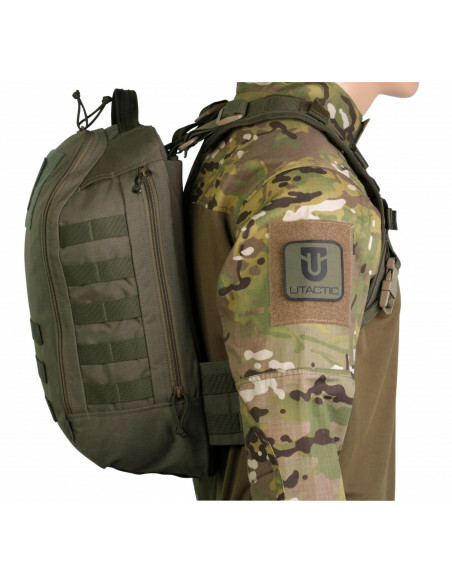 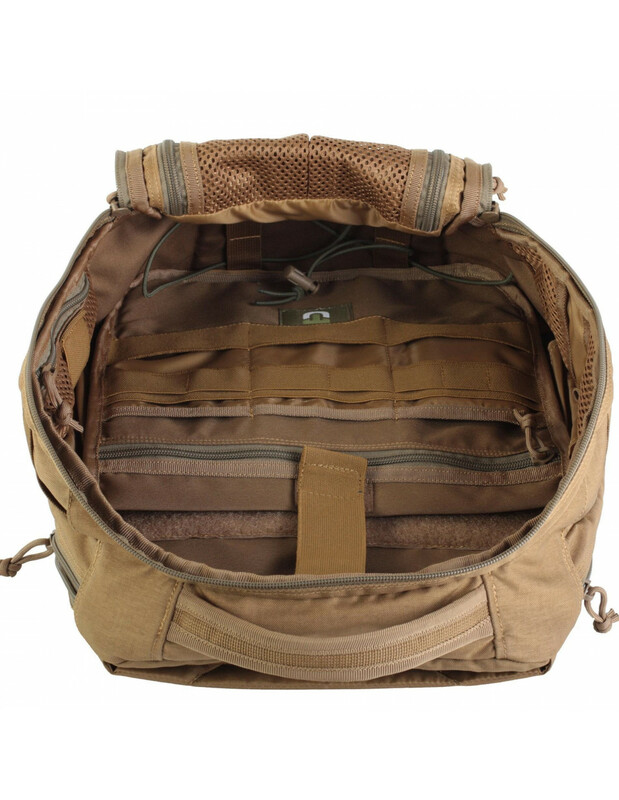 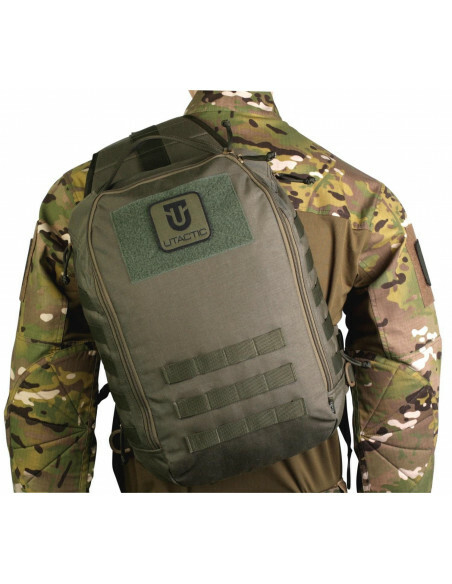 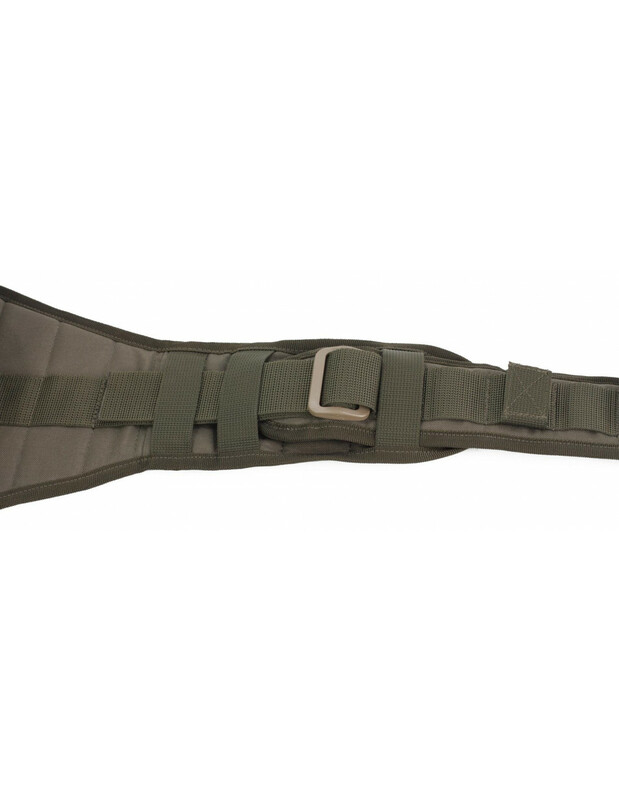 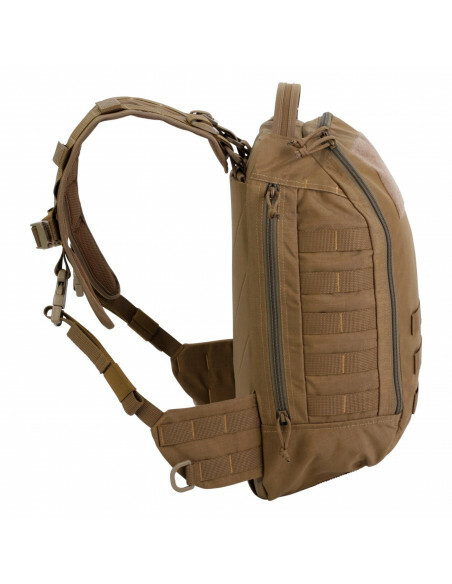 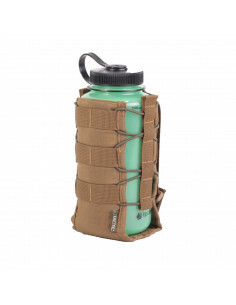 MOLLE interface are placed on the front and lateral sides of backpack. 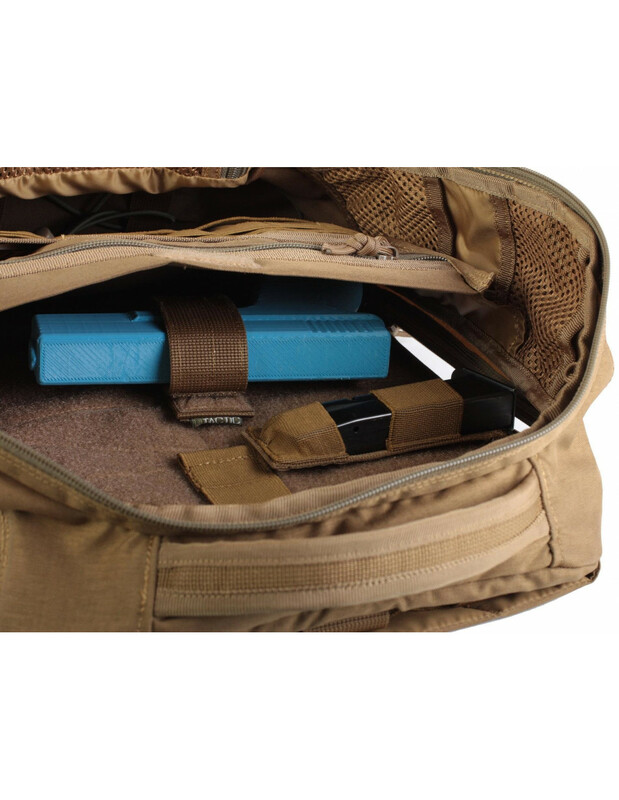 - carrying a hydraulic system. The main backpack compartment is divided into two (central and universal) by a soft partition. 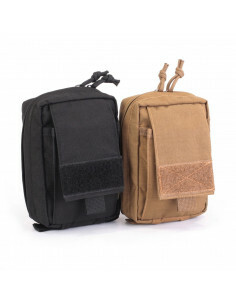 The rear inner backpack side coincidently is the back side of universal compartment made as continuous Velcro-panel for attaching any additional or special gear such as a holster, accessories, tools etc. 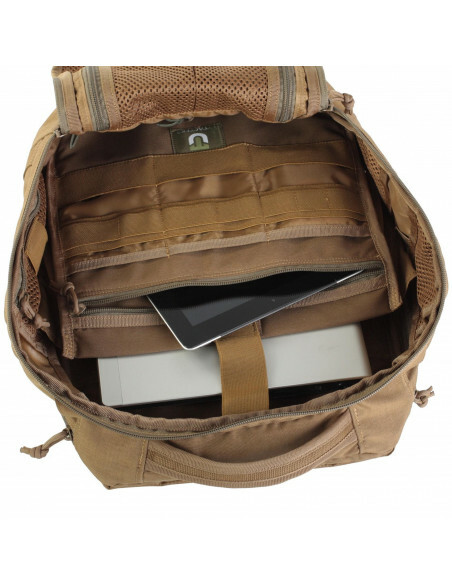 The partition between compartments has a protected pocket for a tablet, three flat pockets as well as an organizer panel with bottom retainer. 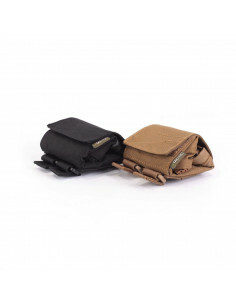 The internal sides contain 3 pockets: two flat and one volumetric with a zipper. On the central valve there are two volumetric zipped pockets. The sides have outlets for hydraulic hose or headset wires and antennas of communication devices. 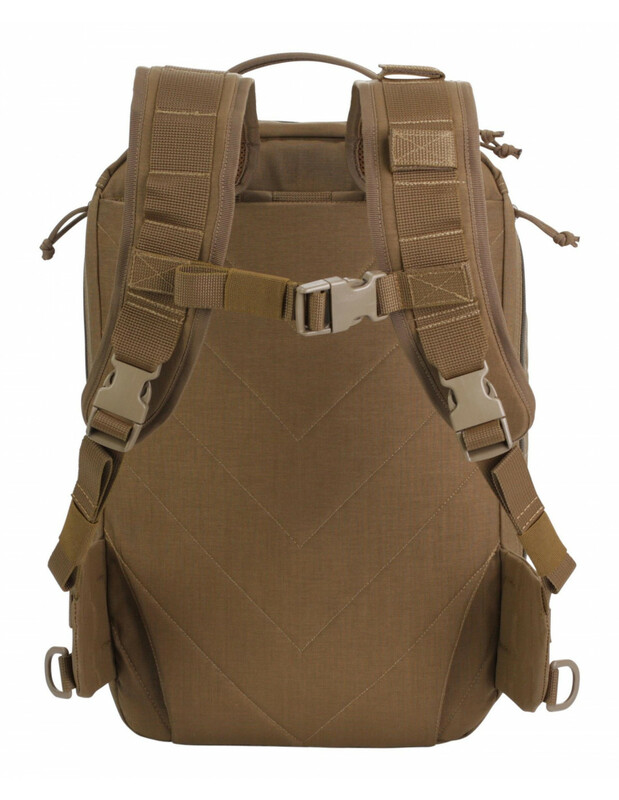 Backpack weight - 1 kg. Відмінно ! Користуюсь наплічником минулорічного зразка, тільки позитивні відгуки. 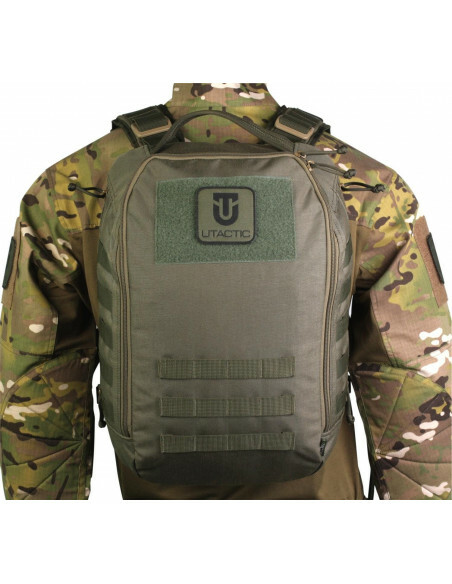 Усе, якість матеріалів, якість пошиву, та головне продуманність конструкції ,усе на височенному рівні!Бачу що оновленна версія стала ще зручніша! 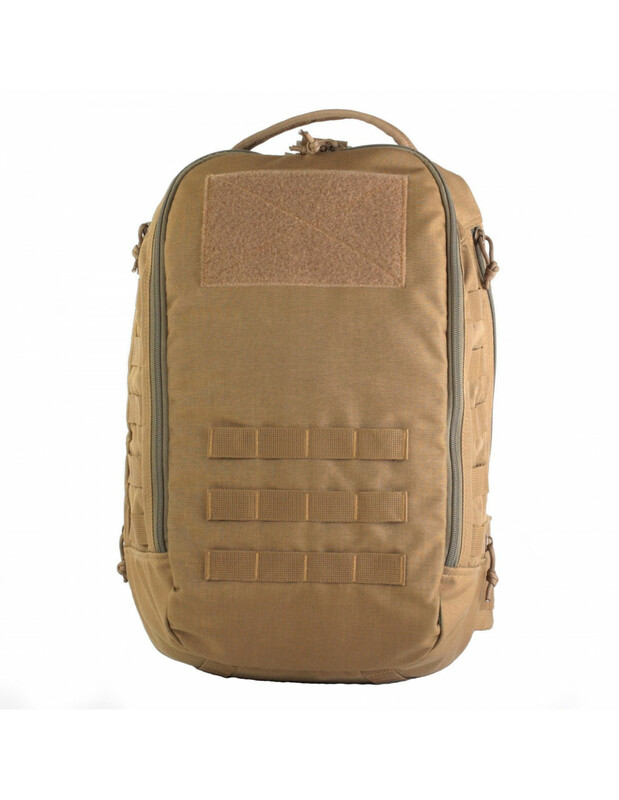 Рюкзак First Day Pack, 18 л.
Є такий в колекції!!! 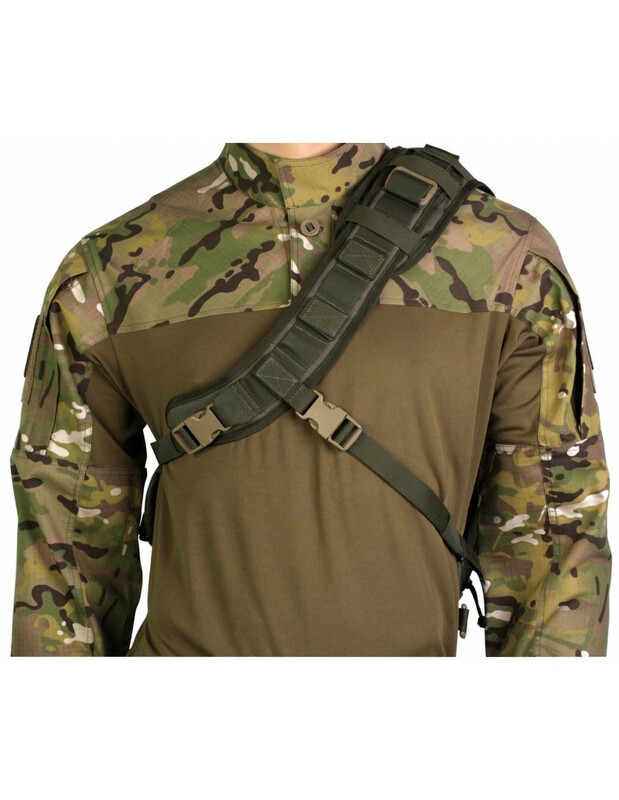 Не знаю де їх виробляють але якість здивувала!!! Все зроблено дуже гарно!!! 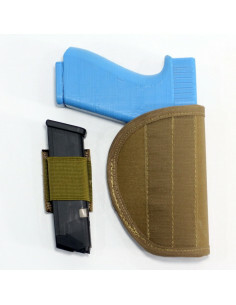 Дякую!!! Так тримати!!! Можна в комплект добавити декілька строп щоб кріпити речі (пістолет і т.д.) 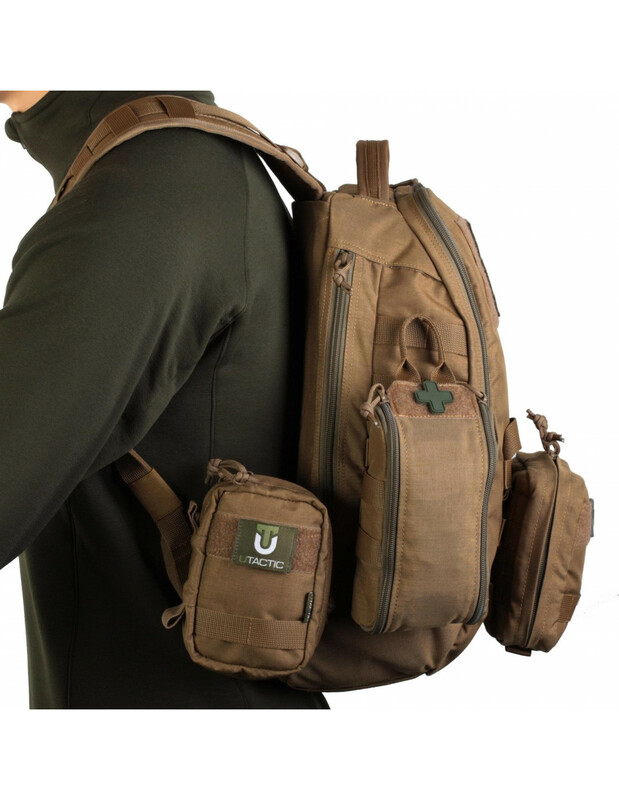 на внутрішню Velcro-панель, як пропозиція! 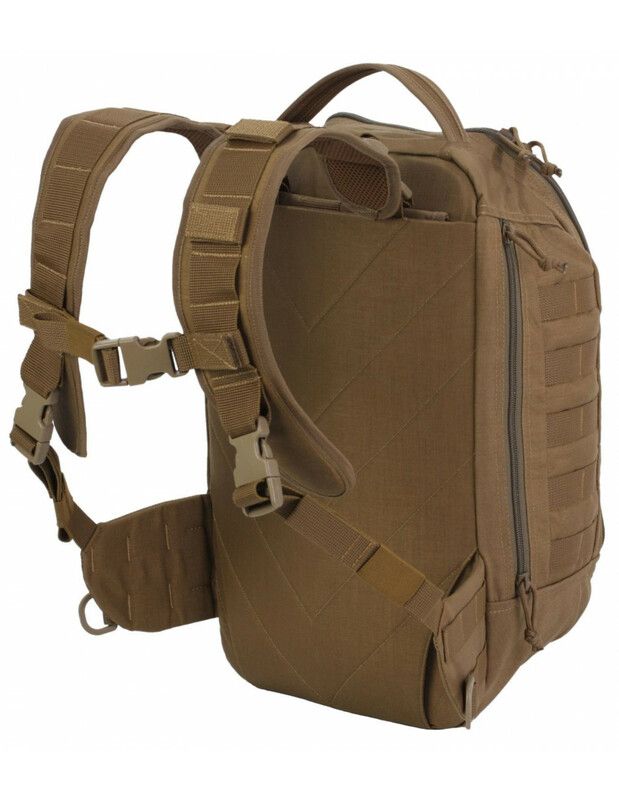 Потрясающе выглядит!Очень хочу приобрести. 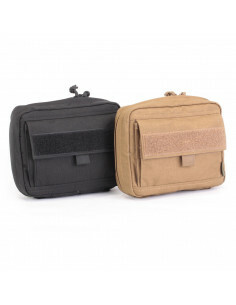 Чуть позже.Ответьте на вопрос - подсумки, установленные на нем на ваших фото - это какие?Особенно интересен медицинский( со знаком + )Спасибо!